I truly believe that you can never go wrong with black and white! It’s a combo you can wear year-round. A classic right?? While Spring style tends to involve pastels and other bright colors, I still like to throw in an outfit with a lot of black now and then. It’s a color you really can’t go wrong with. 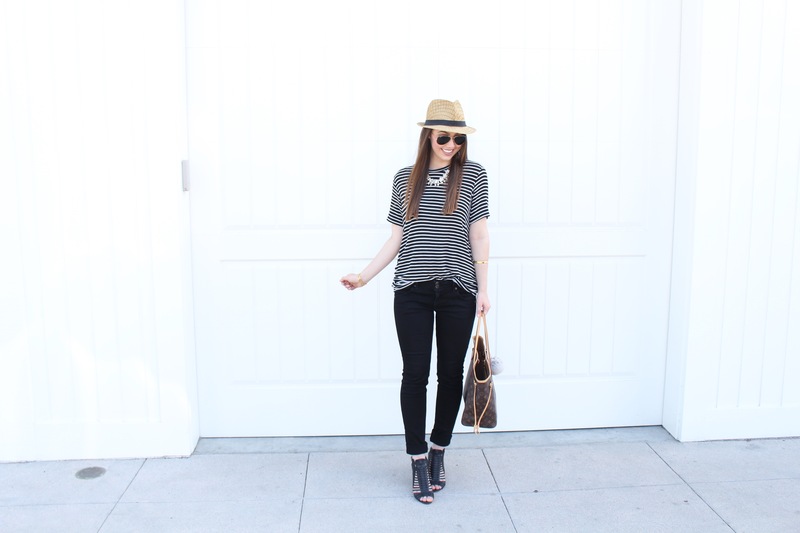 Since I’m always honest with you, I will admit that I’m a big fan of wearing a basic tee and pants! I’m sure we can all relate to this. 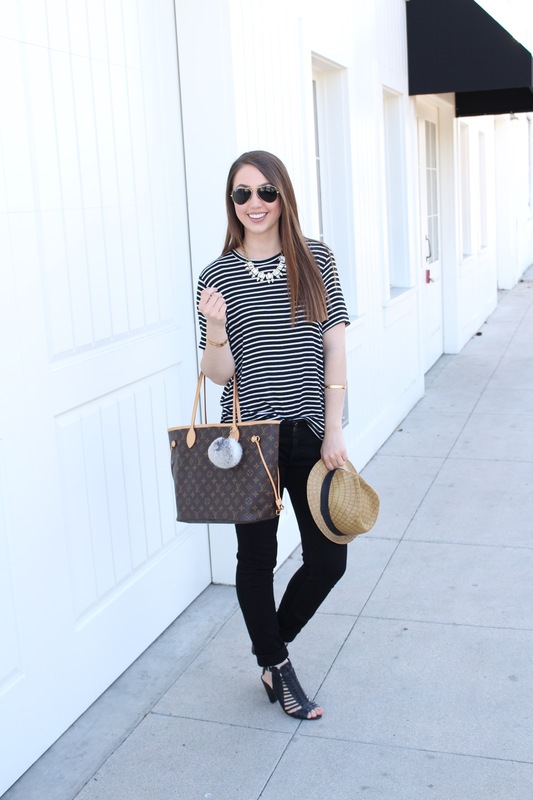 The hard part is finding the right accessories to pair with the outfit to jazz it up! 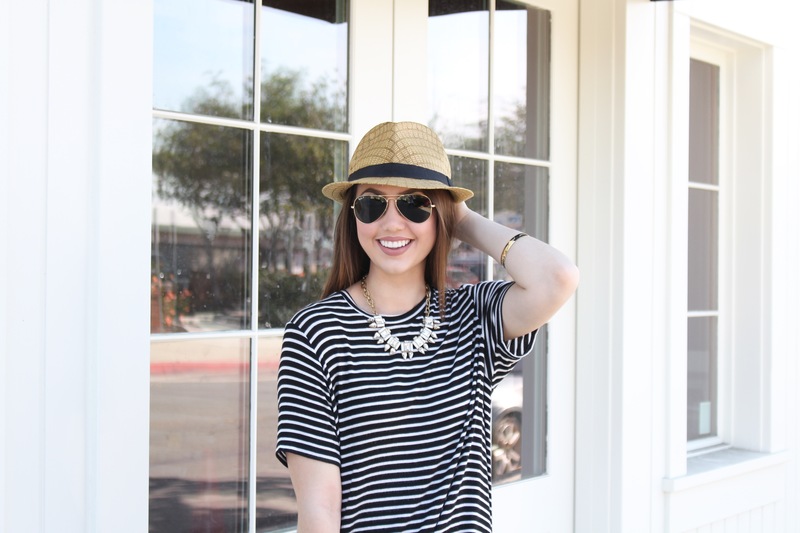 For this look, I chose to go with a statement necklace, fun shoes, and a fedora! I rarely wear a hat, but I think it’s a great way to accessorize an outfit. 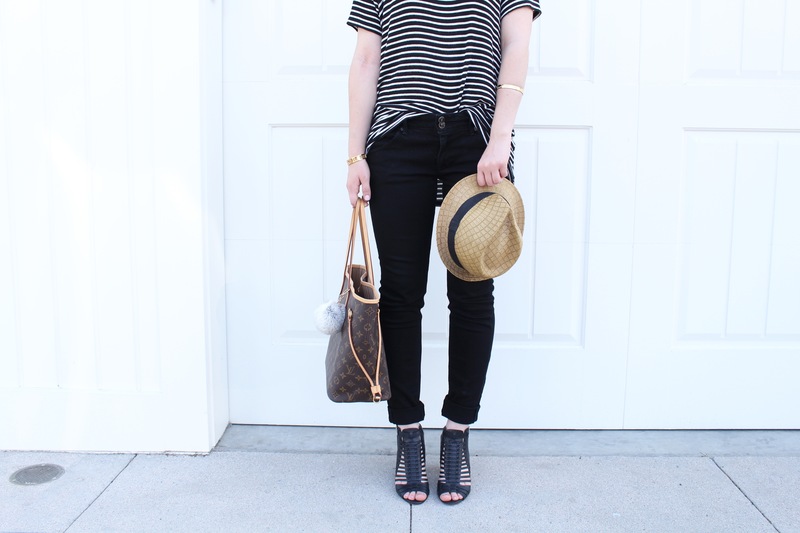 If you’re not a fedora fan, I think this look would also be cute with a black floppy hat. As for the shoes, I went with wedges. They really pull the look together and I love the striped pattern of them. 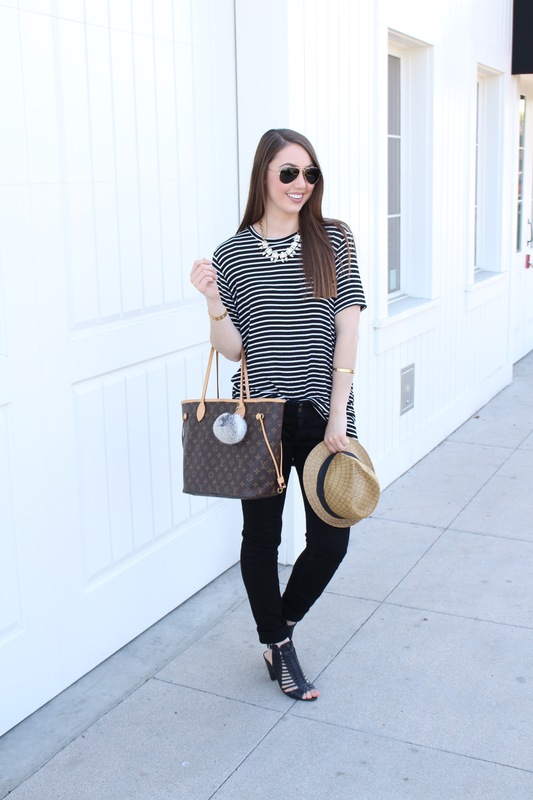 This look is definitely casual chic! I love this look, especially that fedora!